Oh God! Your drawing style is awesome. I like the way you make value... It's different than most people. 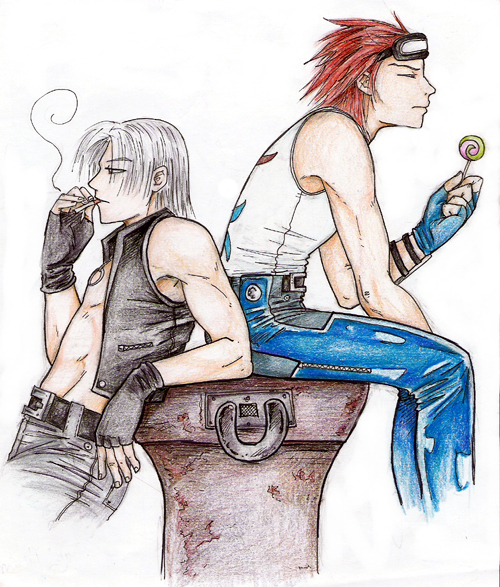 I love Hwoarang... Lee's not bad either ^_~. Anyways, awesome job! OMG! LEE! ITS LEE! OMG YAAAAAAAAAAAAAY! ^_^ I LOVE THIS PIC OF HIM! EEEEEEEEEEEEE GREAT JOB! HES MY FAVE AND HAS BEEN FOR 7 YEARS! MY FIRST ANIME LOVE! =D DRAW MORE! Beautiful work, your anatomy skills are wonderful.